For most people, a home warranty offers peace of mind in the instances of unforeseen problems. A home warranty can also reduce the frustration that often comes with attempting to find the best service company for the problem. Read on for tips on how you can help your clients determine if a home warranty is right for them. Home warranties are designed to protect homeowners from unexpected repair costs for major appliances. 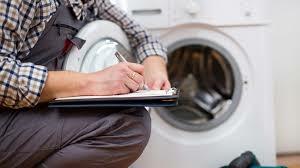 Generally speaking, home warranties are ideal for homes with appliances over four years old. Warranties for new homes are supplied by builders and will typically cover any structural defects for up to a decade. Other items such as air conditioners, drywall, paint, plumbing, and electrical work may be covered anywhere from six months to two years. For existing homes, warranty coverage options vary but include things such as interior plumbing, heating, electrical systems, water heaters, dishwashers, stoves, washer/dryers, refrigerators, air conditioners, garage door openers, pool equipment, garbage disposals and spa equipment. Agents beware: Not all home warranties are beneficial; there are a number of limitations and exclusions which may apply. Claims have been denied because the company says the problem was pre-existing or because the consumer couldn’t prove that the broken item was properly maintained. Make sure to encourage your clients to research top companies with the most reliable and trustworthy track records. The Better Business Bureau recommends that consumers verify a company’s licensing by contacting your state’s real estate commission. Read documents thoroughly. Some providers hide their exclusions and limitations in the fine print. Read every word of the contract and understand the pros and cons of the policy. Ask specific questions regarding what is and what is not covered in the warranty. Understand the coverage limits. You will be able to select which appliances and systems you want covered, but there will be exclusions on these items. With older homes, many warranties exclude routine problems that have occurred because of improper maintenance. Do the math. Consider the deductible and any additional service fees attached to repair calls and contractors. Source the contractors. Most warranty companies utilize their own network of service contractors while others allow you to hire your own. If you hire your own service contractor, you will want to know if you will be reimbursed for that work. Options in coverage plans. Most companies will offer a basic plan and an enhanced plan. If a company offers a hybrid plan, consider that a positive. Customizable and specialized add-on plans (including pools and septic systems) are even bigger perks. Customized service and deductible fees allow consumers to control the cost of their plan. Home warranty plan prices depend on properties and what items your clients choose to have covered. Basic plans typically range from $350 to $650 a year. Additionally, there will be deductible and/or service fees to consider. To help determine whether a home warranty is right for your clients, make sure they read every word of the contract before signing. Home warranty policies are meant to protect homeowners from having to pay big bucks for unexpected repairs. After understanding the pros and cons your clients may find that a home warranty is worth the peace of mind.